It has been a few years since Kashima Antlers could rightly be described as the team to beat in the J. League, but this season’s early form suggests the seven-time champions are fast recovering their old aura. Antlers lead the table after six games of the season, with Sunday’s 2-0 win over Gamba Osaka giving Toninho Cerezo’s side a record of five wins and one defeat with 14 goals scored and three conceded. It wasn’t until the fourth weekend that Kashima even let in a goal let alone dropped a point, and it is little wonder that Cerezo’s recent postgame press conferences have been so heavily punctuated by laughs and smiles. Antlers’ early form has been all the more surprising given the relative inexperience of their lineup. Veterans such as Mitsuo Ogasawara and Takeshi Aoki are still present, but Cerezo has plunged headfirst into refreshing an aging team’s profile with immediate and startling results. Youngsters Shoma Doi, Gen Shoji, Yuta Toyokawa, Caio and Yukitoshi Ito have all seen plenty of playing time, but Cerezo demands that privilege is met with responsibility. “When you go out onto the pitch, it can’t be with the attitude that you can’t tell the veterans what to do just because you’re young,” the Brazilian said after last month’s 3-1 win over Yokohama F. Marinos. 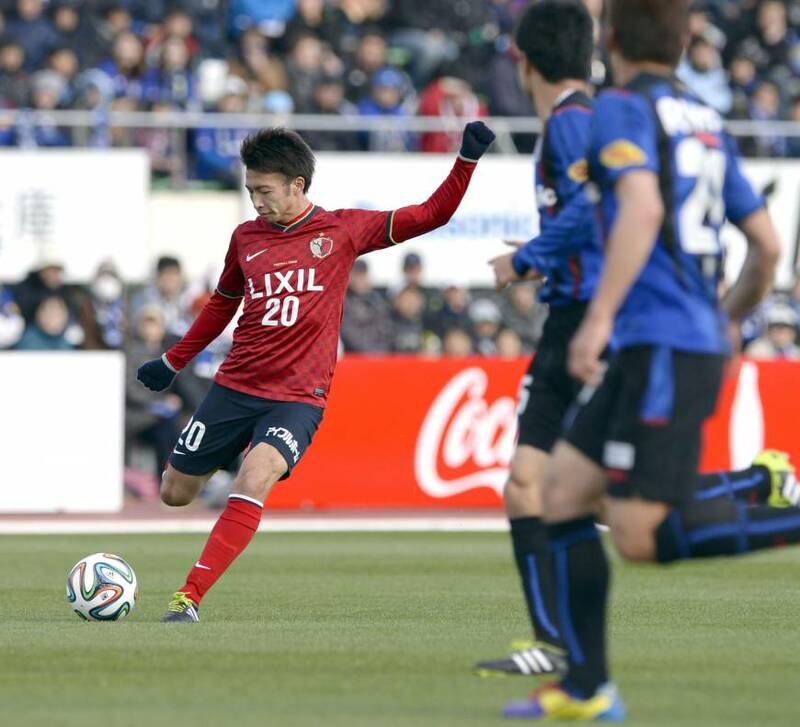 Another crucial factor in Kashima’s rise has been the form of midfielder Gaku Shibasaki. The 21-year-old was overshadowed by midfielders with bigger reputations around the league last season, but a callup to Japan’s training camp in Chiba this week suggests he could yet be on the plane to Brazil this summer. 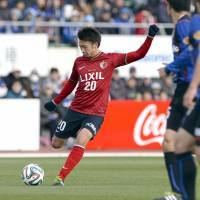 If Kashima’s early-season form is any guide, there will be many more to come. Vissel Kobe moved into third place after a 3-0 win over Omiya Ardija on Sunday, with last season’s J2 runnersup recording their first clean sheet and chalking up their third victory of the season. Expectations were raised when Vissel augmented their promotion-winning squad with Brazilian trio Marquinhos, Pedro Junior and Fabio Simplicio over the winter, but manager Ryo Adachi is still preaching caution despite his newfound attacking options. “This year we have a team that is quite comfortable on the ball, so we have to make sure we don’t overdo it when we attack,” Adachi said after Sunday’s game. Kawasaki Frontale striker Yoshito Okubo walked away with the Golden Boot after scoring 26 goals last season, and the 31-year-old has picked up from where he left off six games into the new campaign. Okubo scored in Frontale’s 4-0 win over hapless Tokushima Vortis on Sunday to take his tally to five so far this season, and manager Yahiro Kazama believes the former Real Mallorca forward could have had even more. “He’s so confident in possession,” Kazama said of Okubo, who was passed over by national team manager Alberto Zaccheroni for Japan’s training camp this week. Vegalta Sendai striker Wilson urges his winless club not to press the panic button after Sunday’s 4-0 drubbing by Urawa Reds. Vegalta fired manager Graham Arnold on Wednesday.